Add a custom touch to your Mustang with Steeda Decals. Late Model Restoration offers these for 2010-2014 Mustangs and can be placed where ever you desire. These decals are available in black, silver, and white. 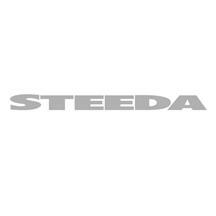 Add Steeda decals to your 10-14 Mustang to compliment the performance parts you have on your car or just dress up the outside appearance of your car.